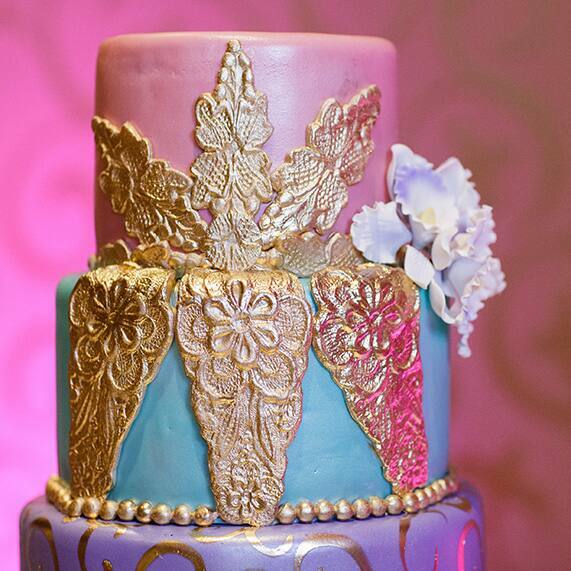 This week's Wedding Cake Wednesday is a charming color palette of aqua, watermelon pink, light purple and gold. 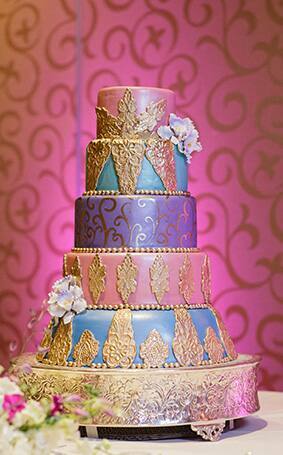 Disneyland couple Sabrina and Oscar's five tier beauty was adorned with gold embellishments and circled with metallic pearls to give it a slight Moroccan flair. 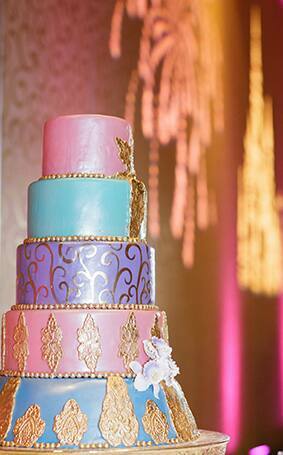 Fresh floral that matched the bride's bouquet was scattered throughout the cake to add a personalized touch. Of course no cake is complete without the perfect backdrop, so the love birds opted for a castle and fireworks GOBO to provide a grand atmosphere for this colorful work of art.